VERY RARE OPPORTUNITY! Located less than 15 min. 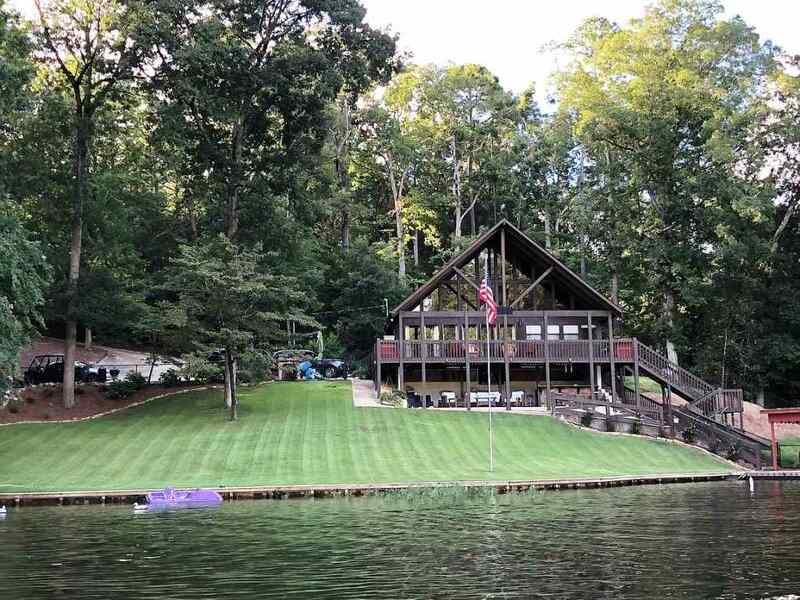 from I-65, & only a short drive to B'ham or Montgomery, this recently fully renovated & updated Lake Mitchell “Bird Creek” waterfront home is Move in Ready! 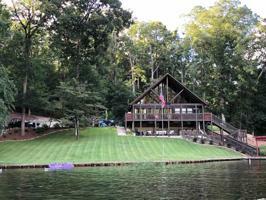 Perfectly situated on 1.2 acres, with 375 +/-Feet of Year Round Deep Waterfront, this fantastic home has TWO “Grandfathered In” Fully Enclosed Boat Houses having a total of 4 Slips with lifts! In addition to the new bulkhead & boathouse posts installed in 2018, features include City water, Spray Foam Insulation, Security System with remote video monitoring, tiled hardwood look flooring, all new appliances including a gas range with underground gas storage, a large walk-in Pantry, Natural Stone Counter Tops, 2 gas Fireplaces, a large mud/laundry room, Covered A-Frame Porch on the Main Level, a large covered patio with a bar on the ground level, a wide concrete driveway & large parking area, a deep swimming area with little to no boat traffic, a large covered boat dock plus MUCH MORE! Driving South on 1-65 from Birmingham, take Exit 208 and turn right. Drive 8 miles on CR 28 and turn right before public launch onto CR 475. Take next left onto CR 814. Bear left at fork and look black mailbox with number 203. Turn left.